April 2010 I stumbled upon a blog where a little girl was in the fight of her life. She had been adopted from Serbia and then needed her heart repaired. When I found the story she was out of surgery and there were complications. I checked that blog several times a day. At the same time she was fighting our family was grieving the loss of our beautiful Russian princess. Our little one didn't die. We were duped by a horrible american agency and lost out money and our chance to bring her home. I remember Chrissie's funeral so well. I didn't go but it was the day we got to talk to our baby. We had found out a week before that in a crazy turn of events we would not be adopting from Russia but from the great state of Texas. We had a lot of people at our house and I kept running into the living room to watch the funeral stream. I was devastated that this beautiful child did not make it. I was rejoicing in the fact that I had a child but grieving with a mother I had never met. I felt such a connection to this family and I didn't understand why. Now it comes to mind what a pastor told me years ago. When we pray for people we tend to start to love them. He was trying to help me forgive my birth family for horrible things they had done and the more I prayed for them the less angry I got. I guess the more I had prayed for the Patterson's the more I began to love them. I could never know the pain this mama felt but I cried tears for her and her family. I wanted so much to not live in PA but in Texas so I could give her a hug. We moved to Texas March 2011. We just couldn't stay away. I have checked the Patterson's blog daily and enjoyed all of her posts. We could all learn a lot from this beautiful family. They were adopting from the Ukraine and getting two little guys with DS. I was so excited for them. It is funny how God works. We were about 5-6 months into a domestic adoption for a child with SN in Texas when our friend had come back from Bulgaria where she met her children she was adopting. As fun as the Patterson's and my friends make international adoption look, my husband said absolutely not! I agreed with him, I wasn't getting hurt again like that. While looking at our friend's pictures we noticed a little guy in the background. My husband immediately said "He's my son! We have to go get him." Shocked would not adequately describe what I was feeling. I couldn't believe what I was hearing. But it was an answer to prayer. I had been praying that my husband Paul would know our next child and want to adopt. I thought that he would pick a child on the TARE website. That is the photolisting of children available for adoption out of foster care in Texas. I had no idea he would see a picture and rock our world! We didn't even know if this little guy was available for international adoption. My friend told me I needed to contact this woman who would know all about it. So I contacted her and she said she would find out but as of right now he was not on her list. Paul had to be wrong...right? 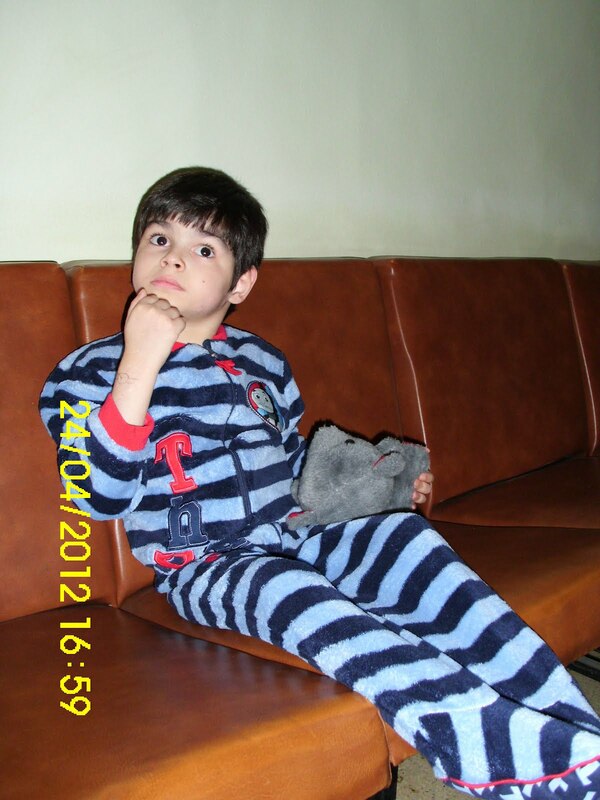 I mean this kid is 1- in Bulgaria aka not Texas and 2- not on any list for adoption. Nice try hunny but I guess you were wrong. 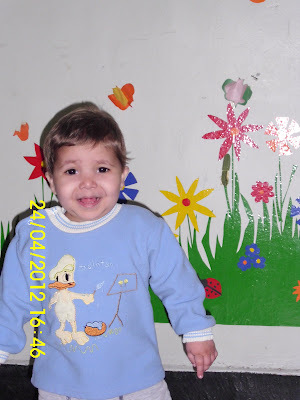 Little did I know that not only the US but Bulgaria was working very hard to get me info on this child. About a week later I heard words that changed our lives..."He is on our list. You can adopt him." Oh man. As excited as I was I was also just as cautious. I had been hurt very badly when we tried an international adoption, but God had turned our mourning into dancing by giving us Noah. We decided to go for it. Not long after saying yes and starting the process a picture was posted of a little guy who was 10 who needed a family. As sure as Paul felt that the little boy in that picture was our child, I knew this little one was ours too! I called Paul as he was on his way home from work and he said "Let's go for it!" He didn't even see the picture. God sure was changing us. So two. Two boys in a foreign country, 28,000.00, travel, but God is good. During our first adoption my friend said if it is God's will it's God's bill. So I am holding on to that. We have been fundraising like crazy and were able to send a large portion of what we owe to our agency. God has just amazed me. He always does. I think about Chrissie almost daily. I think about her family everyday. I remember Christmas day 2010, my husband and I rushed our then 9 month old son to the hospital. He was the sickest I had ever seen him, even the doctors were scared. One doctor came in and told us to pull the gtube and let him die because the doctor had never met an adult with Trisomy 8. We asked for prayer and all over the world people prayed. Noah bossed his heart and pulled through with a vengeance. I thought about Lorraine and how she said that even though she didn’t have Chrissie long she would do it again and it was worth it. I felt that same way. No matter what happened it was worth it. I think through Chrissie's story we were able to be brave and boss our hearts to love a child that may not make it. To love even if it hurts. To really use love as an action word. Because of Chrissie I enjoy the little things in life. I enjoy my children and the struggles that we go through at times. The struggles mean we are alive. Chrissie helped me to pray hard, pray often and love much. She is the first person I would like to meet in Heaven. Through her story, lives were changed and orphans were orphans no longer. I am so grateful for the chance to see her smiling happy face in pictures and read about her journey. I have learned even more from the Patterson family. Thank you Patterson's and thank you Chrissie, I can't help of think of you every time I put on jewelry. Now Lorraine is back. I wanted to give you a couple of links that will hopefully make it easier for you to donate to Ashlee’s family. Please also keep them in your prayers, share their story, and do everything in your power to help get their newest sons home quickly. Thank you so much! Click HERE to purchase some great adoption fundraiser tees that will help Ashlee and her family be a step closer to raising the ransom for their sons. 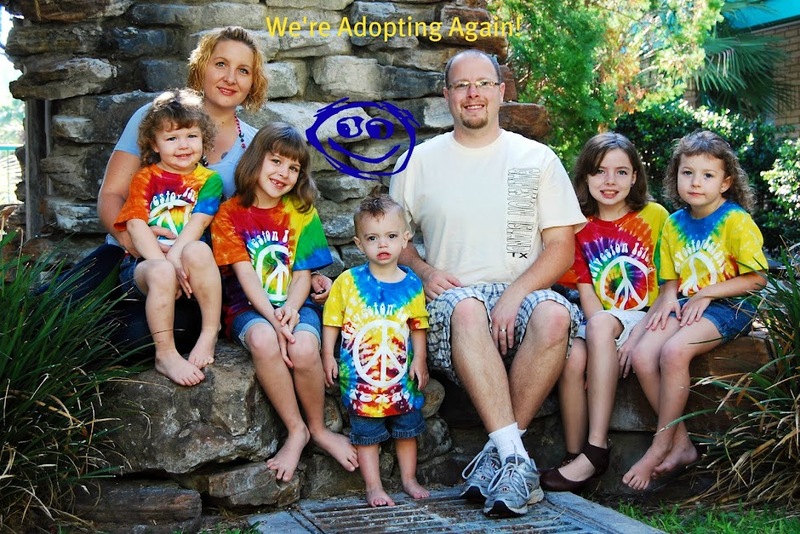 Click HERE to give your tax-deductible donation to help bring two precious sons home to their forever family. Cooper’s Getting His Feet Repaired Today!